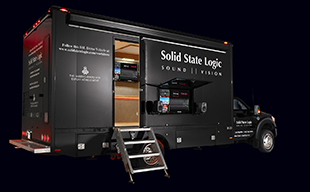 SYDNEY - Solid State Logic is pleased to announce that its long-standing partner Amber Technology has been appointed as its Live console Distributor in Australia and New Zealand. Amber is the latest company to join SSL's growing commercial distribution network for the live sector. "We have been waiting for the SSL Live with great anticipation," says Leon Hart, Business Unit Manager at Amber Technology. "Here at Amber, we have been carefully adding to our live production equipment portfolio to increase our presence in this market. The SSL Live is a technology platform with a fresh approach to how a live console should sound and operate giving engineers a control surface that helps them deliver exceptional performances. It is exciting for us to be able to build on our successes with SSL consoles in the music and broadcast industries through Live. The Live console has been a couple of years in the making and we are very confident that Live is a console that engineers will love." "We have forged a powerful partnership with Amber Technology, which has years of success delivering SSL consoles to music and broadcast clients in the region," says Paul Lindsay, Area Sales Manager for Solid State Logic. "Now, with SSL's new Live console, we will be able to build on Amber's wide product range and market experience to address both the live and install sectors, which are new territories for SSL, but are markets that Amber has successfully served for many years. It is a pleasure to be working with such professional and experienced partners, expanding our portfolio of solutions for professional audio requirements. I am very much looking forward to broadening the Live console's presence in Australia and New Zealand with the help of the Amber team."